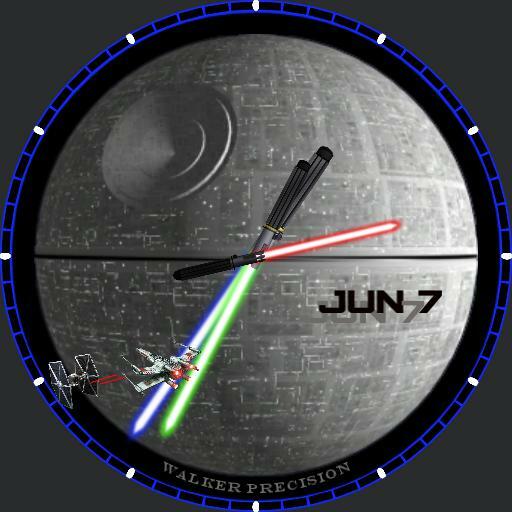 Animated Star Wars Watch Face. When moving your watch the lightsabers will clash. The X-Wing will dodge the shot. One of the lightsabers will slice between the Tie fighter and X-Wing and the shots. This had been one of my funnest creations for my son since he is a Star Wars fanatic. Hope you will enjoy this as well.